Portland Metro Area Real Estate Listings Are On The Rise! The top reason homeowners cited for not listing their home for sale in 2018, was their belief that they would be unable to find a home to buy. 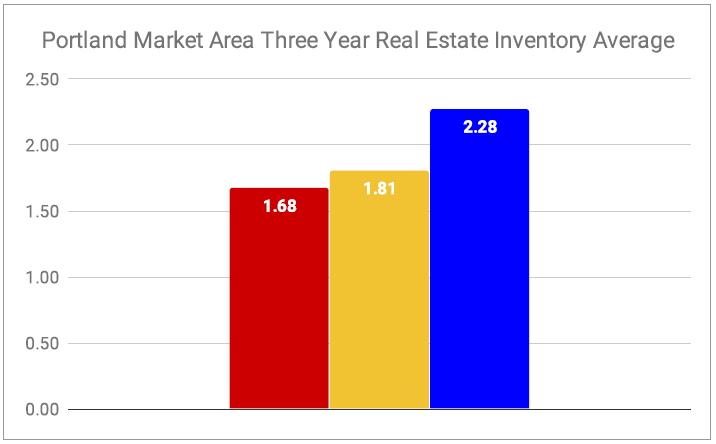 The last three years have seen a rise in inventory across the Portland Real Estate Market Area. After 6 years of low inventory for sale, we’re finally starting to see more listings come to market! 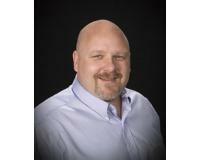 This is great news for Buyers and Sellers. Let’s get together to chat about what this means for you and your situation! 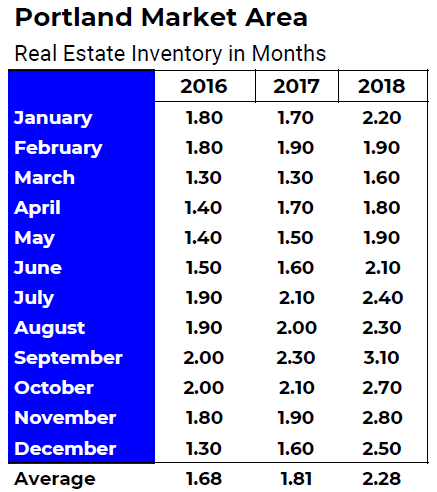 Inventory in Months is calculated by dividing the Active Residential Listings at the end of the month in question by the number of closed sales for that month. This includes proposed and under construction homes.